What's hot in the world of photography, post-CES? 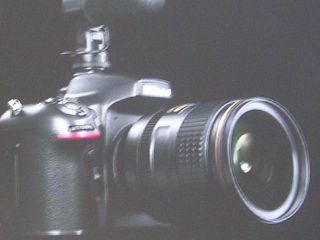 It's the week after CES 2012, so it's been fairly quiet on the new camera announcement front. That didn't stop the mainstream media continuing to focus on the photography industry though, as Kodak dropped the biggest news of the week in the form of a bankruptcy bombshell. All eyes are on now on CP+. The Japanese Camera and Photo Imaging Show opens its doors from 9 to 12 February, and it's widely anticipated that some of this year's key camera announcements are being timed to coincide with this event. The big event of this week came on Thursday, with Kodak announcing that it was filing for Chapter 11 bankruptcy protection in the US. Kodak has taken steps to stress that it's 'business as normal' in the UK and Europe, and it's certainly not affecting its ability to chase alleged infringements of its patents. It's been a case of "Nikon D800 this, Nikon D800 that…" this week. The launch of the D700 replacement is so close, you can almost smell it. You can even see it, if this new purported D800 image posted by Nikon Rumors is to be believed. There have been numerous other events this week that have also pointed towards an imminent D800 announcement. Is Canon going to use the CP+ show as a launchpad for its yet-to-be-confirmed successor to the EOS 5D Mark II? Word on the street is that it won't happen - but the EOS 6D/5D Mark III could arrive in March, complete with eye-control focusing, according to some accounts. Both Micro Four Thirds manufacturers have trotted out firmware updates this week. The Panasonic GX1 upgrade enhances white balance, autofocus and SD memory card stability, while the three latest Olympus PENs get a slight tweak to help them get more from the new Olympus power zoom lens. More up your street, perhaps, is the upcoming launch of the Olympus OM-D. Photographers displayed their opposition to PIPA and SOPA bills that were being considered by the US Congress, by helping to blackout Flickr this week. It seems that may have shown 'em, since voting on the bills has been suspended. As the dust settles on CES, we've had a chance to reflect on some of the cameras that didn't quite make the headlines, but impressed us nonetheless. The limited edition Fujifilm X100 black certainly falls into that camp. Just don't look at the price tag. One more reasonably strong camera rumour for the road? It looks like Pentax will be revealing a new CSC in February (yes, another one to tie in with CP+). Pentax K-01, anyone?